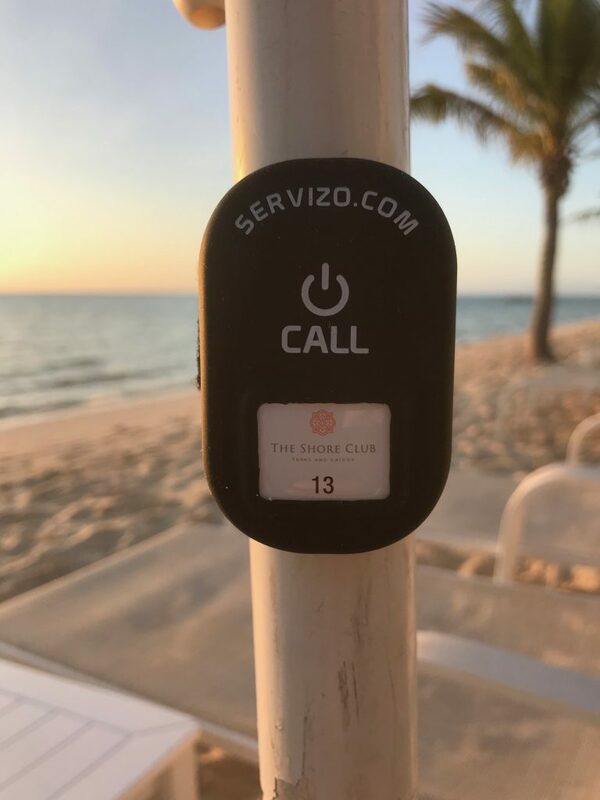 Another amazing property with Servizo wireless calling technology is the famous The Shore Club with their amazing Villa’s and cosy rooms. 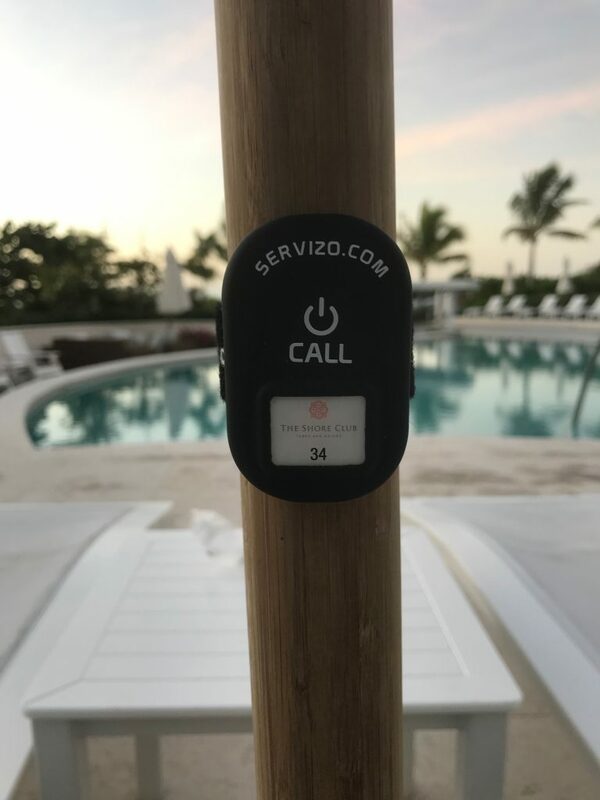 Servizo has been installing Wireless System Calling on all beach and pool areas across the whole property including a Chef Six Pack bell to make sure that the guests will get their food always fresh and in time. We are proud to be the only company that truly helps one of the best resorts in Mauritius. With over 200 Bells installed on their property including their own private island will help them in daily operation and keep their guest happy with an always on time food and drinks delivery. 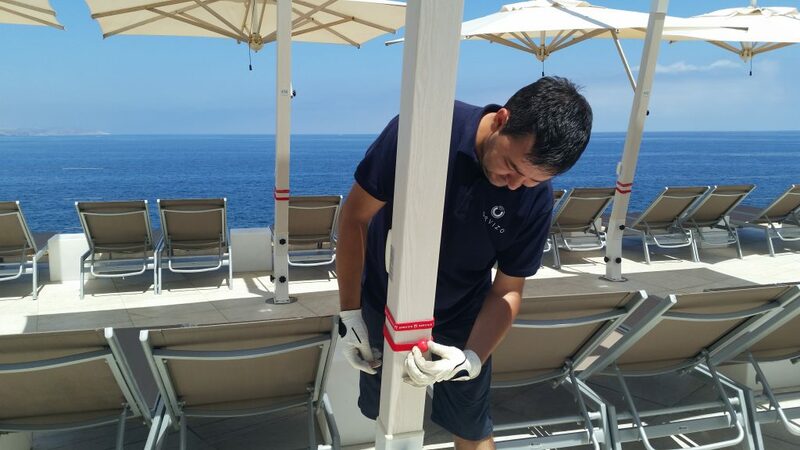 We are thrilled to announce that our technology is installed in one of the best resorts in the world. 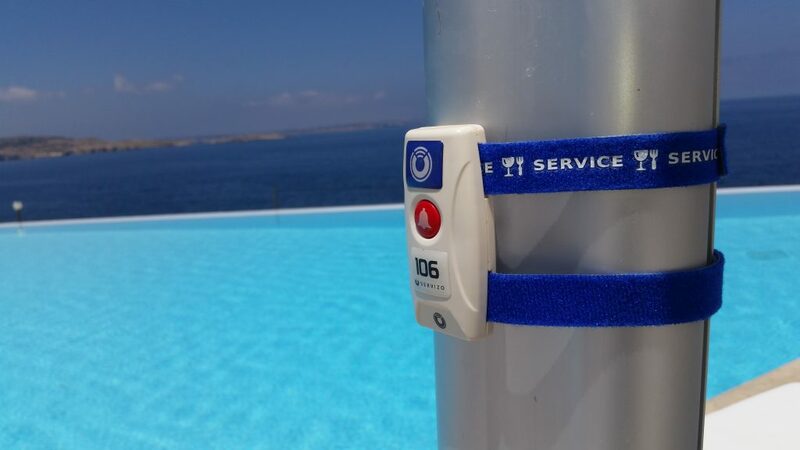 One of Malta’s top five star resorts, Radisson Golden Sands, has chosen Servizo technology to solve its wireless calling requirements across its vast Lagoon and Blueberry poolside areas. The area is challenging as its poolside stretches across more than 400 metres incorporating well over 300 sunbeds, all requiring wireless calling buttons or transmitters for each guest to press, so they have instant service at their fingertips. In addition, Radisson have chosen our industrial purpose F&B wireless calling system, which includes a kitchen calling system where the chef can choose the exact section where the food needs to be delivered and the appropriate server or waiter is alerted to pick up the food for their section. 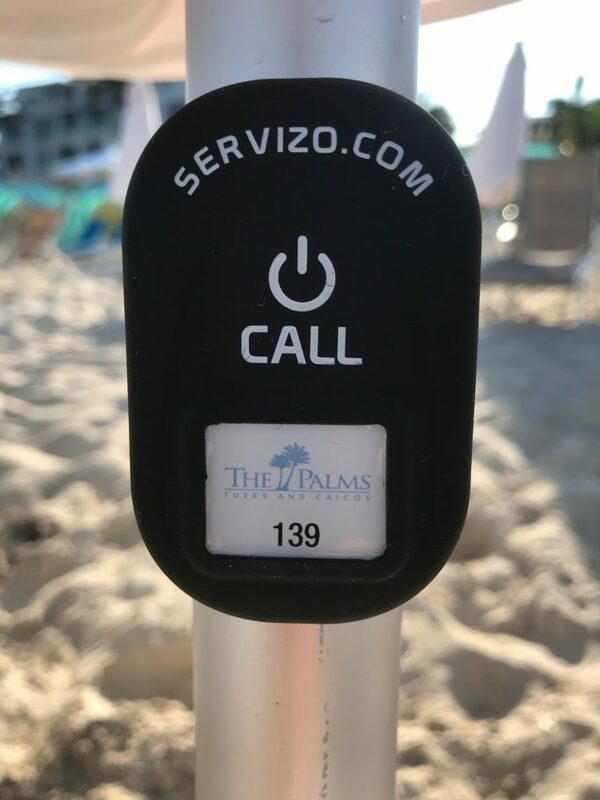 A similar bar calling system is being used, along with our premium all-weather table mount calling system (transmitter buttons), so guests seated at the poolside restaurant can request service on demand. 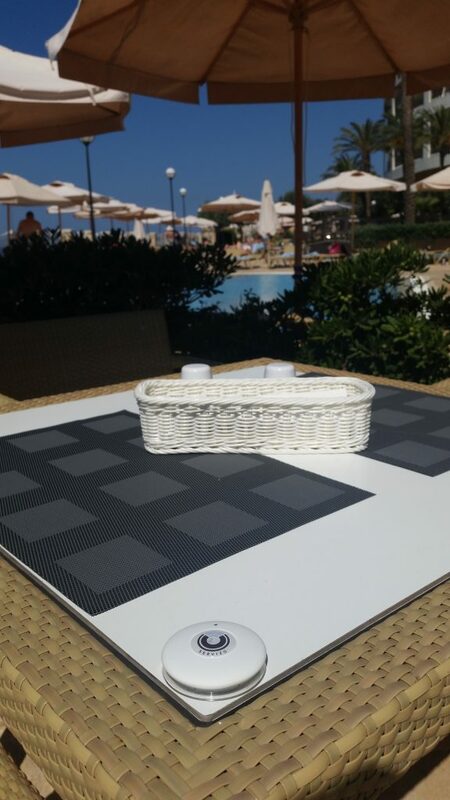 Servizo is proud to announce that as of today our technology is available at every sunbed and VIP table across the gorgeous Cafe Del Mar beach club located in St. Paul’s Bay, part of Malta’s National Aquarium. 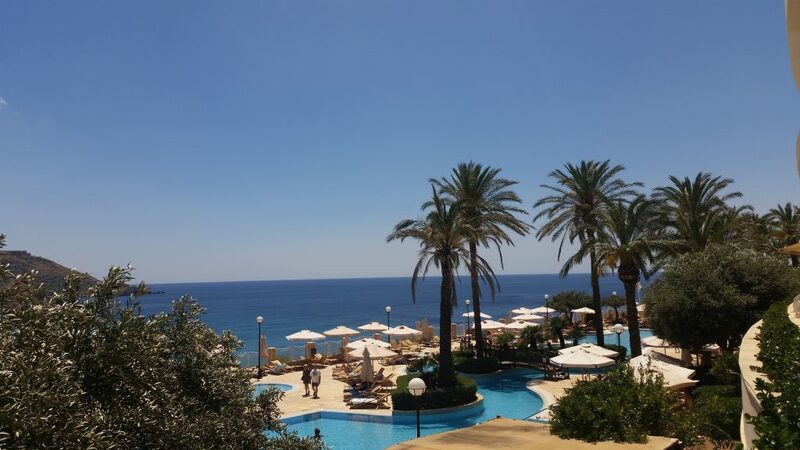 As per the photos below the club is absolutely first class with stunning views of the Mediterranean sea. 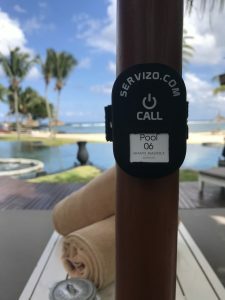 After a successful Servizo launch last year in the VIP members area, the system was so successful in raising the level of service to their 5 star standards, that they insisted that every sunbed be outfitted with our wireless calling system. At the comfort of your sunbed simply press for ‘Servizo’ and a server will be there to assist you at the press of a button. 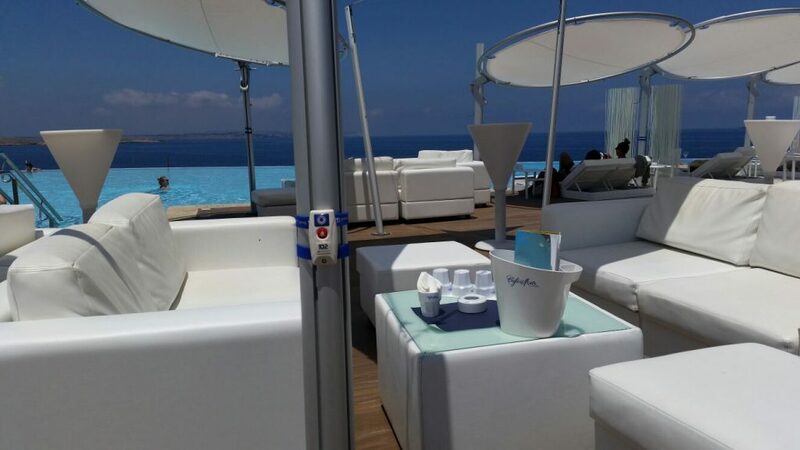 We invite you to enjoy the delicious cuisine and ice cold drinks in the coolest most contemporary beach club, setting the benchmark for Malta’s sun worshippers! Servizo is proud to announce that as of today you can order chilled champagne or perhaps a refreshing cold beer, and a delicious meal at Pebbles Bar & Lido without moving from your sun chair. Our world leading wireless calling technology makes its debut hitting Malta’s prominent beach destination, the breathtaking Golden Sands. We invite you to join us at Pebbles for the most relaxing and picturesque experience in the country. 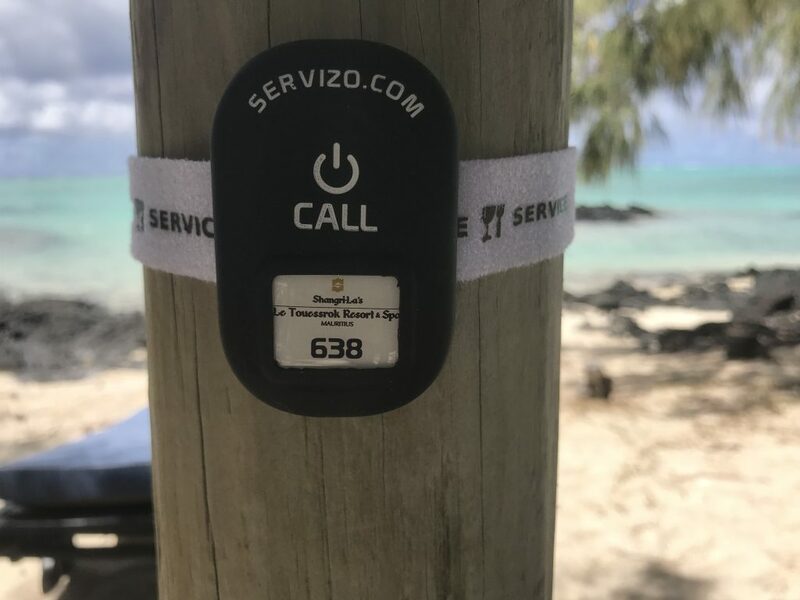 At the touch of a button now you will receive instant service, no more waiting around and waving your arms to find a server, Servizo technology takes a major leap into the modern world of service technology making your experience the best one possible, treating you like royalty as you deserve. We know as an astute manager that you want to find the best value for your brand, and at the best price possible when you purchase a wireless calling system. During our company’s history we have spoken with a few managers who had decided to purchase their wireless calling systems online, and its always a big disappointment. We can tell you that several of our largest hotel clients did exactly this, and discovered many unforeseen issues. As a result, we are frequently called in by managers who have a bag of cheaply online sourced technology that they can not make work at all. We would like to detail what these issues typically are and share with you the various problem areas that we have encountered with competitive products, on a regular basis. Over the years we have seen every competitive product out there and we know very well what works and what won’t work, so we can share these experiences for your benefit. Transmitter – As you will find out most products use a 433 Mhz frequency but this is really just a frequency range required by government. Its more about the way data is transmitted which you should be aware of. A robust protocol might have FSK (Frequency-shift keying) which is an FM signal. Most products, however, transmit in AM with protocols like OOK or ASK. As I’m sure you can appreciate the results are going to be very different, as FM can contain more data in the transmission and performs better in the presence of interfering signals. Generally, if we want longer distance with a more robust transmission signal we would usually choose FM. Receiver – If the receiver is large (ie. wall mounted display) and has big antennas then usually there will be no issues, however the most common application are small wrist receivers (watches) that an employee would wear to receive customer requests. It seems logical that all receivers would perform in a similar way. We have found this not to be the case. Depending on the quality of the manufacturer we can test two identical receivers of the same model and one will receive a signal and the other will not. There are many possible reasons, perhaps the antennas were not connected properly to the circuit board for example. There could be imperfections in the circuit board or other working parts or in the processing chips, its impossible to know exactly. Strong quality control processes are what separate the quality manufactures from others. In addition, we have found that poor quality receivers pick up signal noise or experience signal jamming from various wireless sources around a property. To the user, it sometimes seems a ghost has taken over the receiver as menus or programmed data change on their own. Final area is the features or options that are provided in the menu or o/s of the wrist receiver. Are there control features like ignoring multiple signal requests, changing the name/code of a transmitter and up to six digits long, easily uploading stored transmitter data from device to device with a cable, quickly controlling if a transmitter signal should be received, etc. Energy/Batteries – A transmitter can go a very long time between battery changes but it depends on many factors. A very important aspect is how the circuit board was designed to draw the required energy. If the system is designed well this can save you the frustration and expense of frequent battery replacements. In addition, there are many Lithium metal battery types used. The longest lasting would use a coin battery or button cell like a 3 volt CR2032 We have seen transmitters contain AA, AAA, and A23 batteries to make them function. In addition, we have seen as many as 3 batteries required to make the transmitter work. A well designed transmitter can use extra battery storage for long lasting performance, but this is not the same as needing the extra power to operate. Wrist receivers usually come with rechargeable Lithium ion batteries, however, we have seen them come with AA and AAA, lasting only a few days. Industrial Use – We have seen and tested all of the competitive products out there, and very few are built for industrial applications. It can come down to the materials used. Is the part made with ABS plastic, or a much more durable polyurethane for example. Is there a robust design for the button trigger mechanism so it can tolerate hundreds of presses everyday for years. Is there an extra battery for longer life (not just to make it work). Does the wrist receiver use glass or a solid plastic to prevent the window from being damaged during daily use. If the product has some design or labeling is it going to scratch or peel off and look terrible after some use. The reality is that most technology that we see has been built solely to achieve a low price point, rather than delivering a high quality and functional product for your commercial needs. Waterproof/Resistance – There are products that claim they are waterproof and we can spare you the disappointment because they do NOT exist. First, there is no official designation or category titled ‘waterproof’. An IP (International Protection) rating is what you are looking for. The number can look something like IP67, where the first number is a dust rating and the second is moisture protection. The highest moisture protection is 8, which officially means its ‘Protected from immersion in water with a depth of more than 1 metre (manufacturer must specify exact depth). ‘ Unfortunately, even after seeing an IP rating we have discovered that products do not perform as they promise. The reasons can be many, but perhaps there is a defect in a part, or they become deformed when exposed to weather. Another significant problem is the vulnerability of wrist receivers to water exposure, due usually to the usb charging port which is a direct opening into the inside electronics. We have seen many receivers damaged after an employee maybe washes their hands or splashes water over the part. Fortunately, an experienced provider like Servizo can use special customized approaches to give customers their required level of water & weather resistance. Warranty – It probably goes without saying, but when you purchase online from suppliers out of the country, it is highly likely that there will be no warranty. If you can persuade them to replace any defective products the shipping costs will probably make it unfeasible. In EU there are strict laws about warranty covering 2 years, which are quite unique and usually not honored by most suppliers outside the region. A local supplier is bound to honour the laws, so it only makes sense that they should source products of the highest quality that they know will not break down within this period. 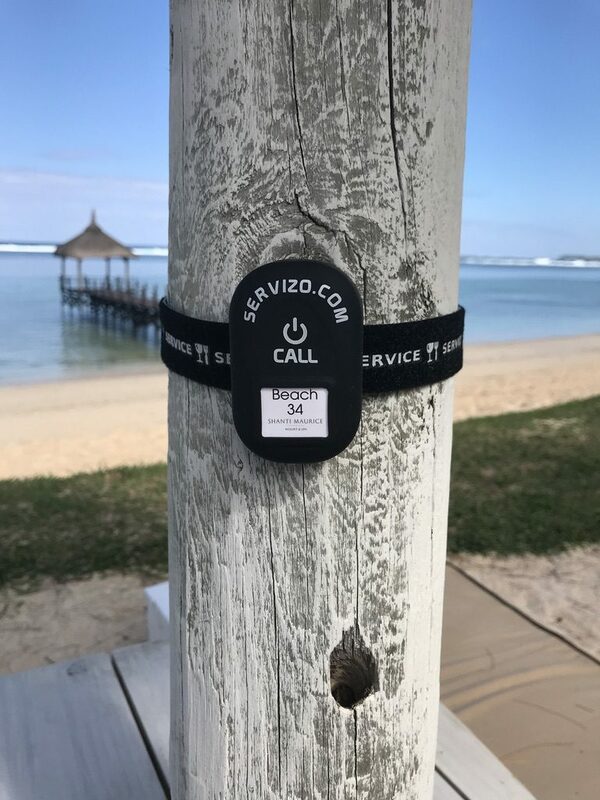 Design – Probably the most common aspect of wireless calling systems, is that they tend to look like cheap children’s toys and not serious technology products for high scale businesses. It comes down mostly to the materials used in their construction, however, overall quality of construction and design shows itself very clearly when putting a high quality product beside the competition. 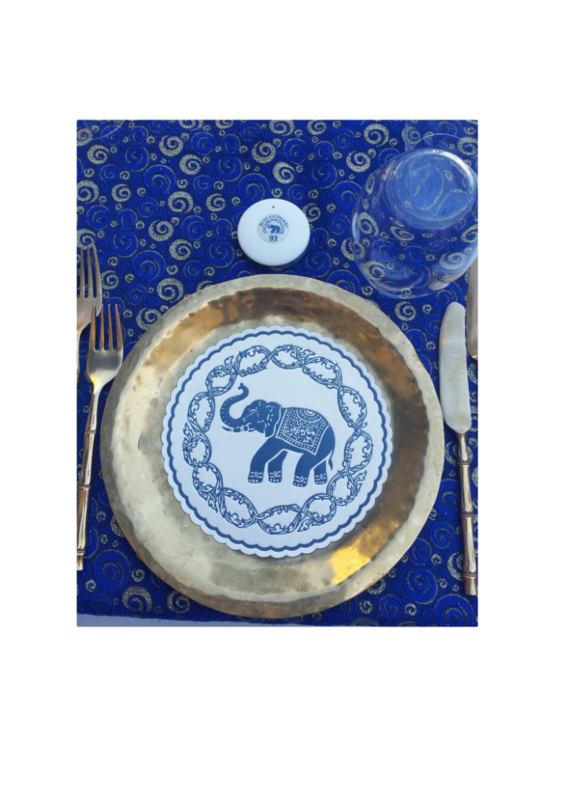 At Servizo, we pride ourselves on providing the coolest most modern looking products available in the world. Employees love to wear our receivers for comfort and design. Our transmitters are in the top five star hotel brands in the world. We hope that you find this helpful, and perhaps see that there is a significant consideration between price and value when it comes to purchasing wireless calling technology. The easiest way to avoid purchasing poor performing technology is to deal with an experienced provider like Servizo who can demonstrate the difference in person, and also allow you to trial the technology before purchasing it, so you can see with your own eyes if the system delivers what it promises!